* Free for iTandCoffee Club Members with free-session allocation ($20 otherwise). Are you a member of The iTandCoffee Club? Join us regularly at iTandCoffee, for social, fun, informative gatherings with other iTandCoffee Club members. ​• Evernote • Online safety • Great Apps • and much more. See below for the great topics currently scheduled. Visit this page regularly to find out about what's coming up. Come along and ask a question** (or two or three) about your technology. Hearing other people's questions, and the answers to these questions, is a great way to learn about your technology. Sometimes we don't even know what we don't know, and what questions to ask! ​We will take a question from each guest in turn and endeavour answer it in this group forum*, in the 60 minutes we have available. We will regularly schedule a Topic of the day for these Club sessions. Topics may be chosen based on suggestions from Club members, events in the technology world or other areas of special interest. Please feel free to forward your suggestions for a 'Topic of the Day' to iTandCoffee, to club@itandcoffee.com.au. ​Places are limited, so book early - and please make sure you notify us if you have booked but are unable to attend. Members do not need to pay when booking. ​Membership plans start at $49 per year! Am I eligible for free attendance? Questions will be answered on a 'first come, first served' basis and limited time will be allocated to each of these questions - so that we can address as many peoples' questions as possible in the 60 minutes. Questions about specific issues with your own device, or issues with any of your online accounts, are unlikely to be able to be addressed in a group forum like this, and may require that you book a one-on-one appointment or attend a future class on the topic to address your question. If you would like to check in advance on whether your question is appropriate for this forum, please email iTandCoffee at enquiry@itandcoffee.com.au. Bookings are open to anyone, but preference is given to iTandCoffee Club members. FREE to eligible The iTandCoffee Club members. 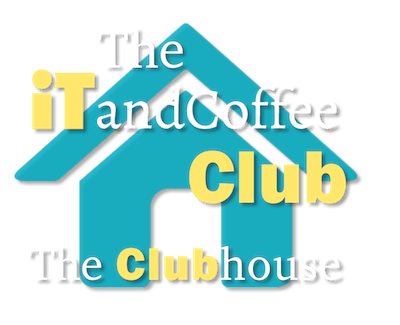 If you are not yet a member, you can join the iTandCoffee Club first - then place your booking. If you do not want to join the Club, but would still like to attend, contact iTandCoffee on 1300 885 420 to discuss attending for the session fee of $40. Please advise us as early as possible if you have booked but are unable to attend.